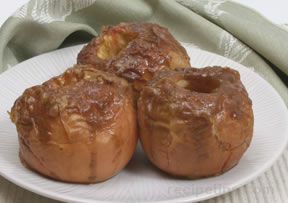 These tasty little treats are very easy to make, and the light wine sauce allows the apple flavor to shine through. 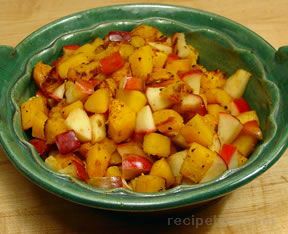 Use as an appetizer, serve with roasted meat, or as part of a fruit compote. Makes about 2 cups and can be doubled or tripled. Use unblemished whole apples. Wash and remove any blossom bits but you may wish to leave stems on to serve as 'handles'. In a non-reactive saucepan, bring wine, sugar, lemon zest and salt to a boil. 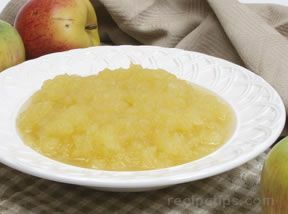 Add apples, cover and simmer until apples are just tender, 5 minutes or longer, depending on the size of the appples. Let apples cool in cooking liquid. 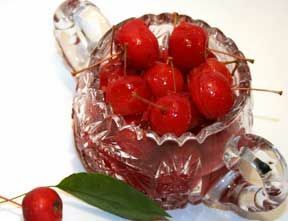 Serve with liquid, or drained, depending on use.